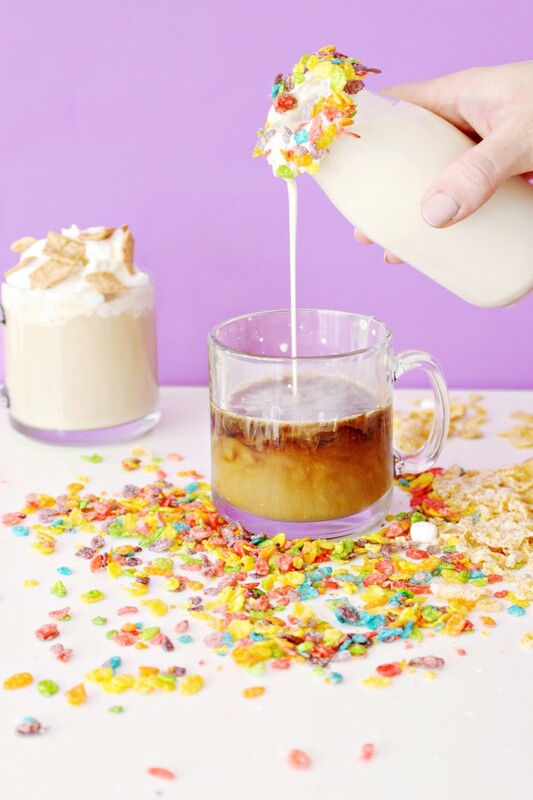 I have always said that cereal milk should be a thing you can buy, amiright?! How amazing are those sips straight from the bowl at the end?!! 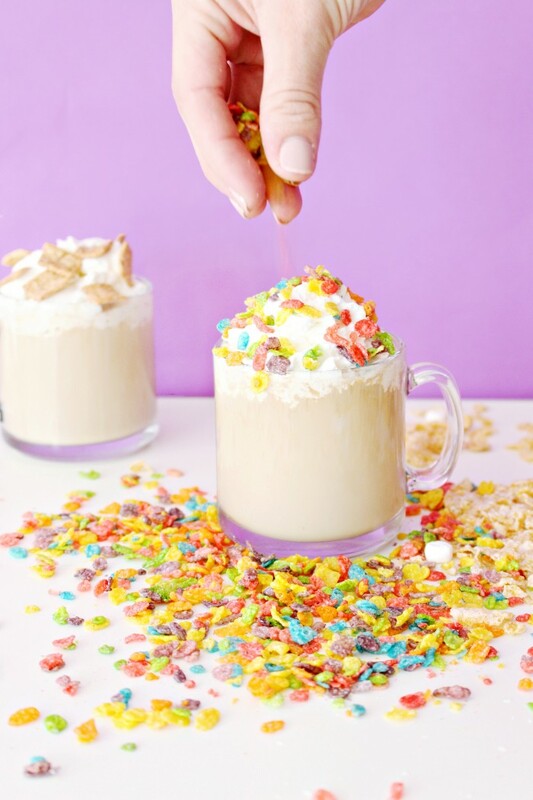 I would pay for fruity pebbles flavored milk, I honestly would. 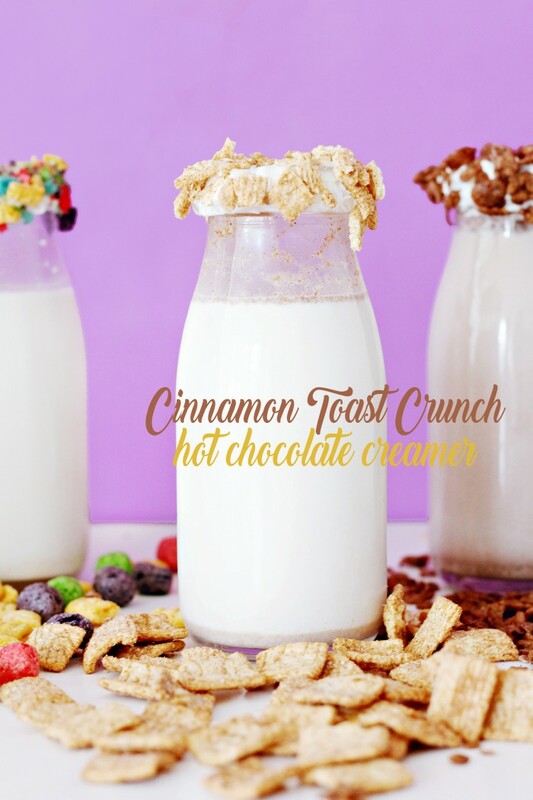 And I know its not just me, so for all of my fellow cereal milk lovers out there–this recipe will make your dreams come true! 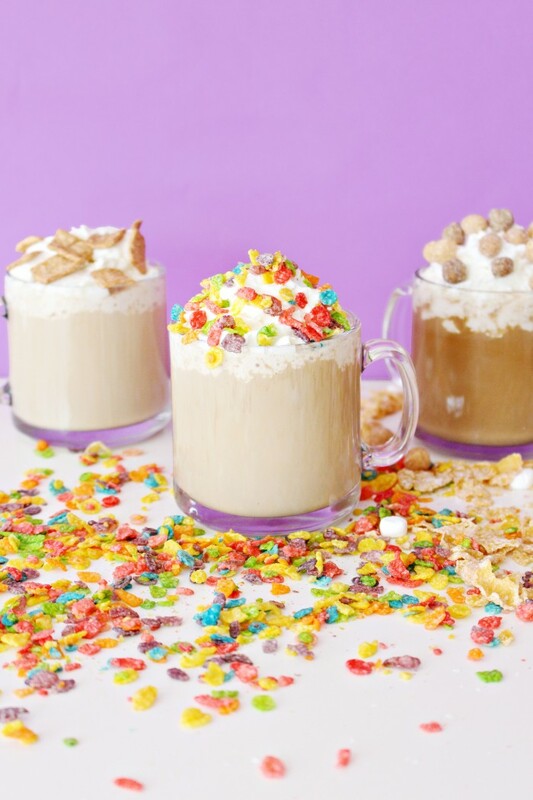 Coffee creamers really take hot cocoa and coffee to the next level and now you can take yours to the next next level–what??! 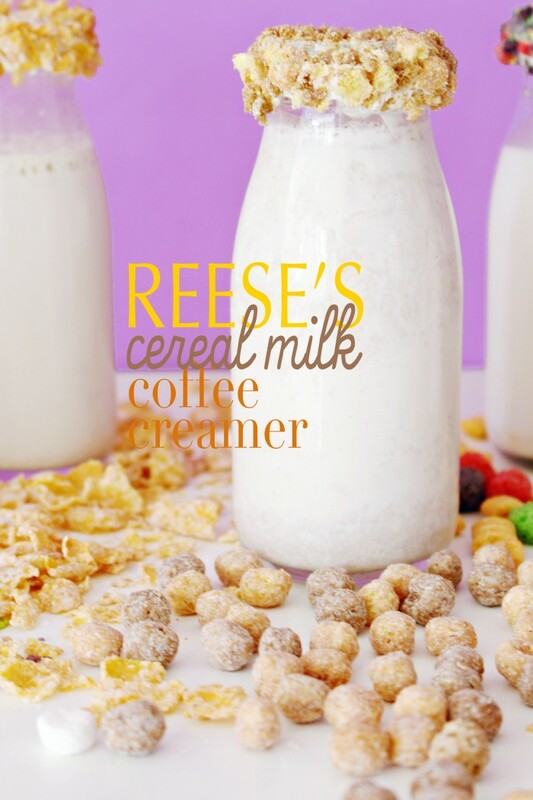 Haha, if you’re a fan of cereal milk, I definitely recommend making some of your own! You can use any variety of milk and its delicious! And hey, I won’t even judge you for drinking it straight (after all, I already admitted that I would buy the stuff to do just that). 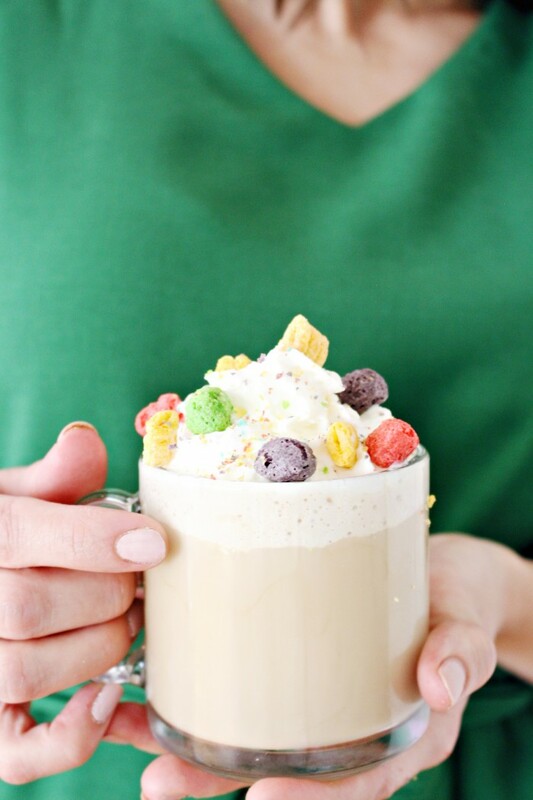 Then, go ahead and whip up some Cap’n Crunch Berries lattes, mmmm! I tried five different cereals and they were all so SO good. 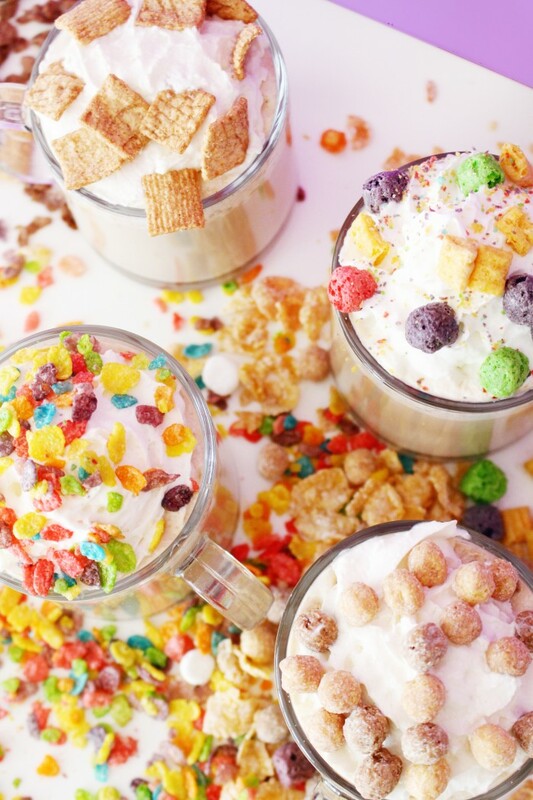 My favorite as a latte was probably the Reese’s creamer but in hot cocoa, Cinnamon Toast Crunch was just perfection. What’s your favorite cereal that you’d love to try this with? Grab it and click below to follow the recipe and make your own! 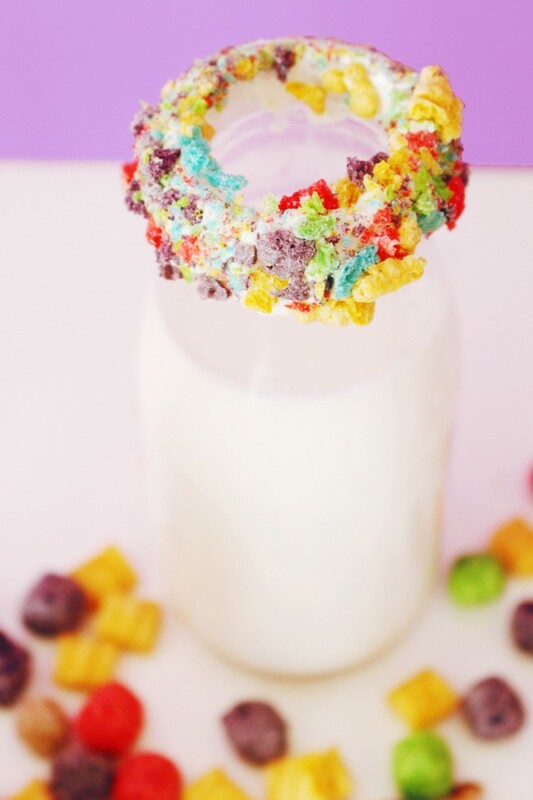 Put cereal in a bowl and pour milk over it. Place a mesh sieve over another bowl and pour the cereal and milk into it. Use the back of a spoon to press the cereal down and strain all the milk out through the sieve. Place the soggy cereal back into the milk and allow to sit for another 10 minutes. If using almond milk, I recommend a third soaking and straining to really saturate that flavor. Pour milk into an airtight bottle or jar and store in the fridge for up to 7 days. 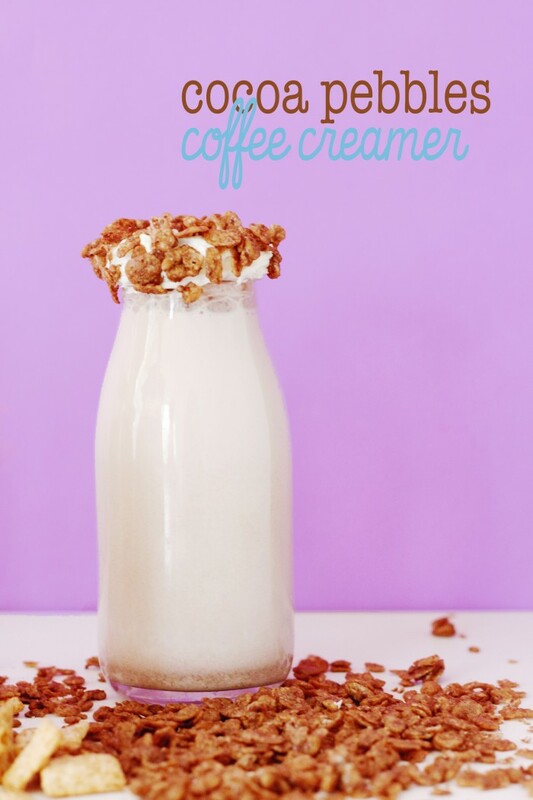 Combine milk and coffee (try cold brewed coffee–its yummy as an iced latte! ), stir. Top with whip cream if desired and a handful of cereal. I made all my favorite cereal flavors because I just could resist! I tell ya, I lived really well for that next week :P As if I didn’t already enjoy my coffee an extreme amount! But throw in some Cap’n Crunch Berries, Cinnamon Toast Crunch, Reese’s, Cocoa Puffs, or Frosted Flakes and I have all the heart eye! Guys, Reese’s Puffs cereal is one of the greatest things to ever happen to breakfast cus candy for breakfast? haha, if Stella got to choose everyday what she ate–it would probably be that. Maybe it’s weird but I honestly think frosted flakes make the best after milk! 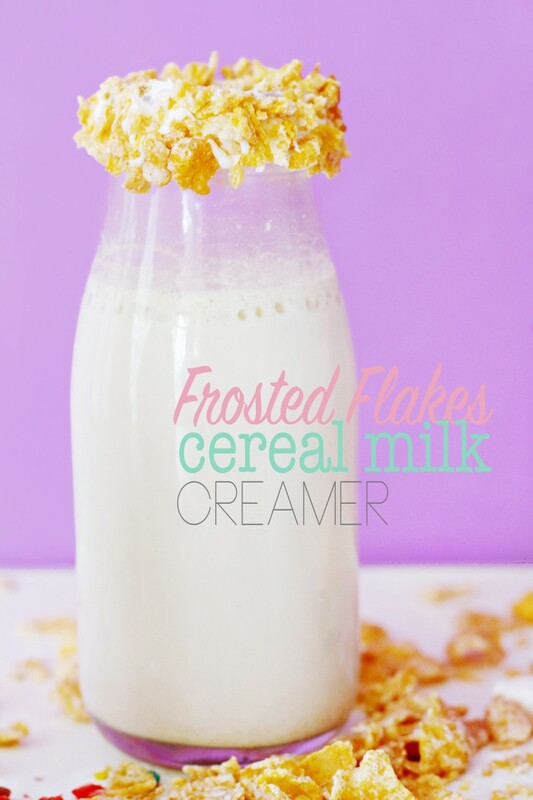 I mean, they’re a good cereal, but not the best (probably my least favorite of this list honestly) but the milk is probably my favorite so of course I had to make a frosted flakes creamer! Stella’s favorite of the creamers was the cocoa pebbles variety. Hey, the girl loves chocolate. 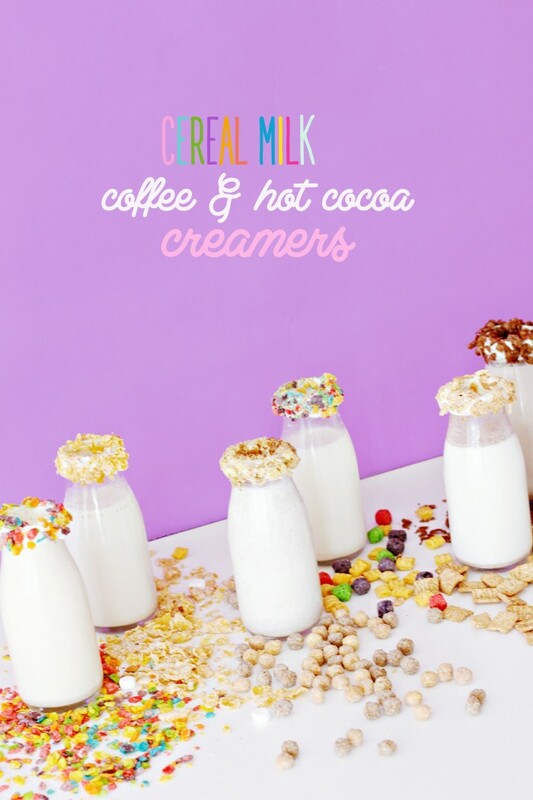 So if you’re a daily coffee drinker, or love your hot cocoa, why not amp it up with some cereal milk yumminess?! It’s a cinch to make and a delight in your mouth!